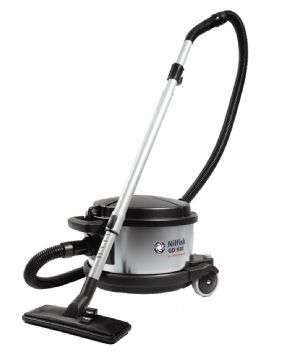 Nilfisk GD 930 and GD 930 S2 is a world class dry vacuum cleaner for effective daily cleaning of large areas. GD 930 is the reliable, rugged and stable choice for demanding cleaning applications in hotels, schools, offices and hospitals. The dust bag has a large capacity of 15 litres. The design optimises air flow patterns and reduces energy losses to an absolute minimum. The result is an exceptional suction power.